North Leigh Creek Ranch consists of 67+/- ac farm/building site with flood irrigation water rights by canal sourced out of reliable N Leign Creek. Located 7 miles NE of Driggs. The farm is currently leased. 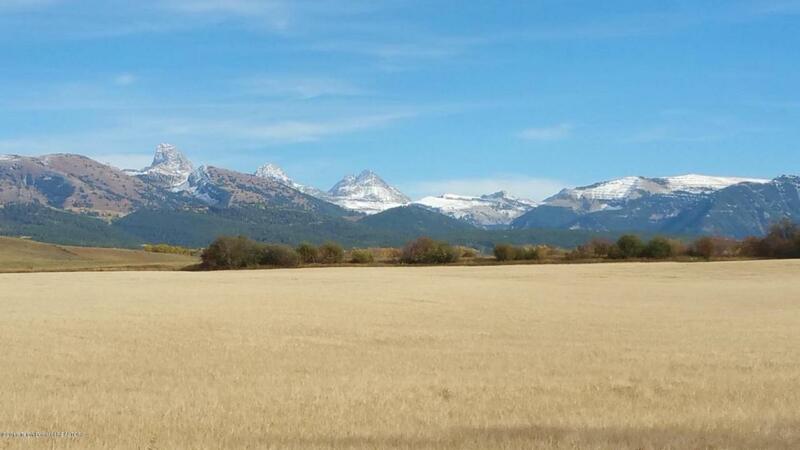 Classic Teton Mountain views with year-round County maintained road along the west boundary. This farm is ideally suited as large parcel residential homesite, allowing guest house, subdivision or a conservation easement property. The acreage can be sub-dividable subject to County approval. The farm is leased, requiring notice prior to lease termination.